After remaining stagnant at $6,400 for the better part of a season, Bitcoin (BTC) finally saw an awakening on Wednesday, as the now-1o-year-old crypto asset saw an influx of trading pressure. However, as many feared, this awakening, while powerful in its own right, wasn’t the one that many optimistic crypto investors were hoping for. Instead of breaking above the well-cited $6,800 line of resistance, BTC fell, collapsing under $6,000, then $5,800, and finally at $5,700, where the asset is approximately situated at the time of writing. Now, for the first time in over a year, the market capitalization of BTC has fallen under the level of psychological support at $100 billion. Seeing that this sell-side action came out of nowhere, surprising traders with their pants down, so to speak, consumers have sought to determine what catalysts sent bitcoin spiraling. After not covering the cryptosphere for weeks, CNBC’s Fast Money segment surprisingly brought on Brian Kelly and Meltem Demirors to discuss the potential factors behind crypto’s most recent downtrend. Kelly, who has been the topic of light controversy in the past, drew attention to the upcoming Bitcoin Cash contentious hard fork. The BKCM CEO, who dubbed the Bitcoin ABC and Bitcoin SV debacle “a crypto civil war,” attributed this market’s most recent decline to concerns that BTC and BCH markets, along with the networks they represent, will under-perform as the hard fork comes to pass. However, discussing the potential Bitcoin Cash “catalyst,” Mati Greenspan, eToro’s in-house crypto savant, begged to differ. Commenting in response to Bloomberg’s piece on crypto’s sell-off on Wednesday, Greenspan pointed out that the hard fork catalyst is invalid, alluding to his thought process that the reasoning behind the catalyst is evidently flawed. "Some traders speculated that investors may be leaving Bitcoin to raise funds to buy Bitcoin Cash after it splits in anticipation that each of the new coins will appreciate." NewsBTC’s Joseph Young made a similar comment, noting that BCH actually under-performing BTC, rendering Bloomberg’s claim false. 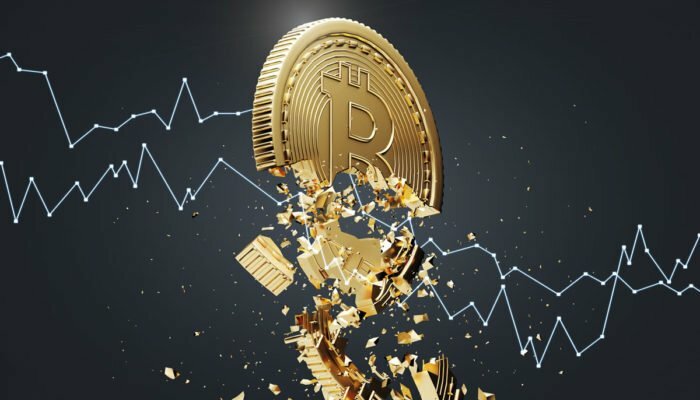 Barry Silbert, the show-runner at New York-based Digital Currency Group, simply chalked this recent rut to a round of “capitulation.” In the eyes of some analysts, a phase of capitulation could be seen as a perpetuation of the bear market, but, others have claimed that these strong sell-offs could signal that BTC has bottomed. The bottom line is that everyone and their dog has different opinions about bitcoin’s recent move under $5,700, indicating that there were likely a number of stimuli, including the aforementioned, that beckoned the bears in. Although Robuini’s aforementioned bashing of Bitcoin isn’t a welcome sight, many analysts and industry leaders have maintained that the world’s first blockchain is poised to succeed in the years to come. As reported by NewsBTC previously, industry players, like Tim Draper, Tom Lee, and Mike Novogratz, have expressed their overt opinion that bitcoin is likely to surmount its all-time high at $20,000 in due time.